Posted on August 24, 2017 at 4:47 pm. The summer months these past few years have seemingly been hotter than usual, and the current one is shaping up to be the same. As connoisseurs of iced tea and cold draft beer, the people at Columbia Distributing know a thing or two about hydration in summer. With that said, we’ve compiled a list that should help you stay cool as the mercury rises. Wear cotton clothing as often as you can. Materials such as polyester, rayon and the various sweat-wicking sportswear actually retain heat better than cotton – and you don’t want that. 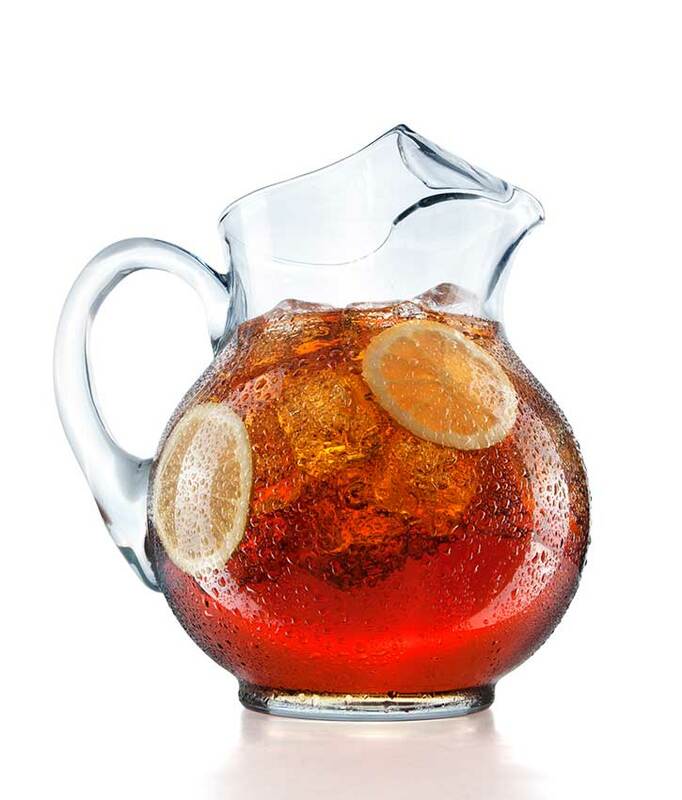 Keep a flask of iced tea or cold water with you throughout the day. If you can manage one of those 40 oz cold-preserving flasks, then hydration in summer will be no problem for you. Many of these flasks can keep a beverage cold for a full day — especially if you put ice inside. Remember; by the time you’re actually thirsty — your body’s already been a bit dehydrated. Ditch the tight-fitting slacks and tops. Not only should your clothing be looser — it should also be light in color unless you live in the Sahara desert. Watch what you eat. Eschew those large, hot portions that benefit your body during the winter time in favor of cooler fruits and dairy products. No air conditioner? Head to your local Starbucks or shopping center for the afternoon and cool way down inside. As early evening rolls around, it will start to get a lot more manageable inside your own home. Exercise cannot wait for the cooler months to roll around; however, you shouldn’t go on a run at high noon this summer. Either start very early, or wait until late. 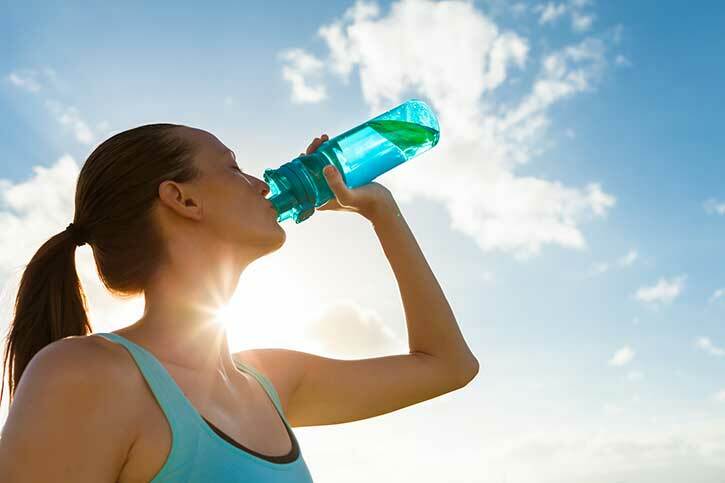 And even then, make sure you carry a bottle of electrolyte-replenishing sports drink or iced tea for hydration. Take cool or cold showers if you’re in the house and the heat becomes close to unbearable. It will do wonders, as the effects can last for an hour. Do this before bed, in fact, and the heat will be unlikely to keep you from falling asleep. Although we mentioned fruits earlier, this one deserves its own place because of how essential it is on hot summer days: watermelon. You would be hard-pressed to find a better fruit to eat for hydration and fulfillment — without the excess calories, as 90%-plus of the fruit is actually water. Buy a fan if you cannot get an air conditioner. It will make a difference on those particularly warm days. In fact, even if you use AC, a fan will circulate the cold air and make it feel cooler at less of an overall cost to you. Hydration in summer does NOT mean you can drink anything cold. Caffeine-laden drinks and alcohol should be imbibed in moderation, as too much will dehydrate you.